​If you could be a greater force for what you care about, what would you do and what could you change? NEW Campfire Catalyst programme for business founders, owners & leaders. What can you do? How can you be a force for good? How can you lead with meaning and purpose in an increasingly complex world? Fusing immersive nature activities with creative conversation, together we'll look at all aspects of leading a business, and how and where you can connect your purpose, influence change, and be a greater force for what you care about. ​Learn from nature and each other. ​An experimental programme of monthly outdoor sessions, starts 2019. ​Price is for monthly sessions. A facilitated leadership development programme in the wild to explore your values, your impact and your legacy, with other business leaders; the only people ​who really understand what you’re going through. It's been proven that nature increases creative thinking by 50%, dramatically improves long-term decision making, and enhances interpersonal connections. ​You're a CEO, business owner, founder or co-founder of an SME, a ​key player in a large organisation, or an entrepreneur from any walk of life, who feels called to make a difference, and who wants to understand and explore how to do something purposeful for the future. Leading with Purpose is a six-session experimental programme for business leaders. It's facilitated by Nigel Berman and includes a series of processes that help you work through 21st century leadership challenges, including how you impact on the world. Running a business is hard. It may be successful, but has your passion, your real values, and the bigger picture got lost amongst the details, the day-to-day pressures, and short-term thinking? You’re not alone, 60% of business leaders say they get caught up ​in small details, and avoid the decisions that really matter. On Leading with Purpose you’ll be able to take some time for yourself to look at what you’re doing and make some practical changes that bring you back inline with your values and your purpose, in order to build a future-fit and resilient organisation that you love, where purpose, people, planet and profit can thrive collectively. Purpose is, and has always been, critical to building a culture where everyone feels connected to a larger story, where everyone feels they’re working towards a higher aim. ​The programme involves a collaborative and experimental process using the intelligence of the group, held by nature, that allows practical wisdom and creative insight to emerge, so that you can commit to actions. "The most effective leaders I’ve seen in any setting - business, government, nonprofit - are driven by purpose, mission, and the sense that their work is making ​the world a better place." The 'Leading with Purpose Catalyst Campfire' is held at carefully chosen outdoor venue inside Stanmer Park, close to Brighton. It is easily accessible by public transport and there is parking close by. The private site is self-contained, has a fire pit, and cover in case of wet weather. Campfire Catalyst: Leading with Purpose is a programme of monthly outdoor sessions based around a fire. I found myself being very open and honest. 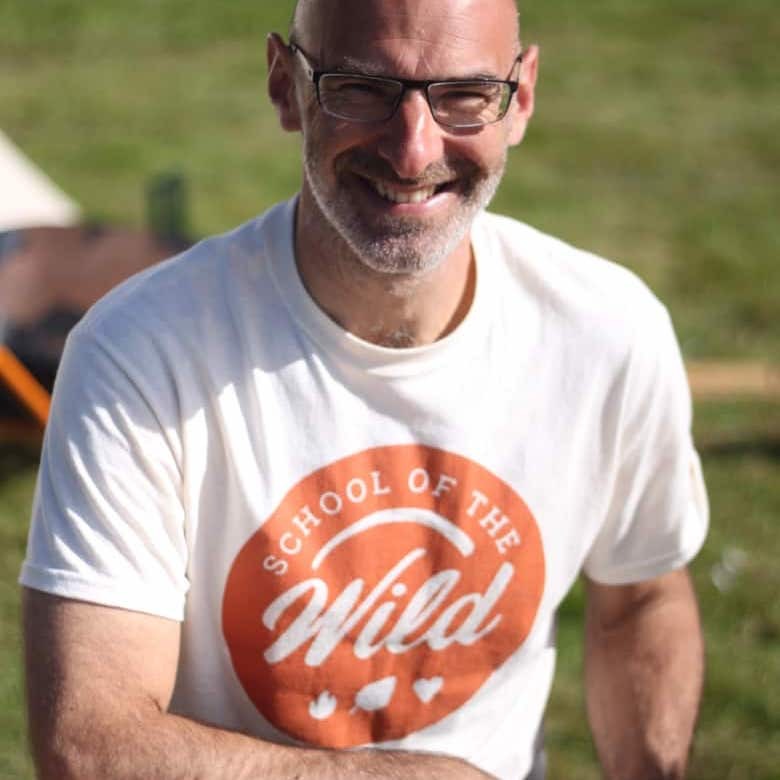 Nigel Berman founded School of the Wild in 2014, to combine a love of wild nature with experiences that bring people together. Nigel spent over 20 years creating and leading businesses that communicate different ways of seeing the world. Before School of the Wild, He founded several purpose-driven organisations including an environmental publisher, and Nigel's Eco Store, the award-winning online retailer. Nigel has facilitated nature-based leadership sessions for NatWest Business Accelerator, the Green Growth Platform, and works with a variety of Brighton digital agencies and international NGOs. Watch his latest talk - on the Call of the Wild, here.